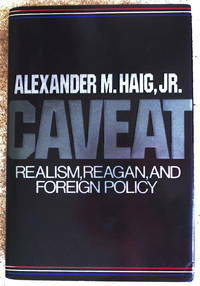 Book Description: Macmillan, New York, NY 1984. First Edition. Book Condition: Very Good. Dust Jacket Condition: Very Good+. Minor bumping, no tears or chips. Not price clipped. Book not remaindered. First edition. On front free end paper: "To Doug Johnson with best wishes Al Haig. Feb 86." 358 pages. Please feel free to email with questions. Book will be carefully wrapped and shipped in a box.